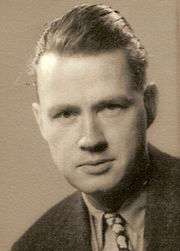 William Klaas Frankena (1908–1994) was an American moral philosopher. He was a member of the University of Michigan's department of philosophy for 41 years (1937–1978), and chair of the department for 14 years (1947–1961). Frankena's father and mother immigrated to the U.S. as teenagers, in 1892 and 1896 respectively, from Friesland, a province in the north of the Netherlands. William Frankena was the middle of three children. He was born in Manhattan, Montana, grew up in small Dutch communities in Montana and western Michigan, and spoke Frisian and Dutch. In primary school, his given name, Wiebe, was Anglicized to William. Throughout his life, his family and friends called him Bill. His mother died when he was nine years old. He graduated from Holland Christian High School in Holland, MI, in 1926. After farming, his father, Nicholas A. Frankena (1875–1955), devoted the later decades of his life to elected office in Zeeland, MI, where he was mayor, and to service as an elder in the Christian Reformed Church in North America, which was founded by Calvinist Dutch immigrants. In 1930, Frankena received a B.A. with majors in English and philosophy from Calvin College, a liberal arts college of the Christian Reformed Church. At Calvin, Frankena studied with William Harry Jellema (1893-1982). Frankena then earned an M.A. from the University of Michigan (1931), where the Department of Philosophy included C. Harold Langford(1895–1964), Dewitt H. Parker (1885–1949), and Roy Wood Sellars (1880–1973). Next Frankena earned a second M.A. and a Ph.D. (1937) at Harvard University. He studied with C. I. Lewis, Ralph Barton Perry, and Alfred North Whitehead at Harvard, and with G. E. Moore and C. D. Broad at the University of Cambridge in England while he did Ph.D. research. His doctoral dissertation, which focused on Moore's work, was entitled "Recent Intuitionism in British Ethics." Frankena became well known in the profession with his first published paper, "The Naturalistic Fallacy," Mind, 1939. During World War II, Frankena taught American history at the University of Michigan. Frankena met his future wife, Sadie, when they were students at Calvin College. In 1928-29, Sadie was president of Calvin's forensic (oration and debate) club and editor-in-chief of Calvin's literary review, Chimes; Frankena was business manager of the club and associate editor of the review. (Prism, Calvin College, 1929) He and Sadie were married for 44 years, until Sadie's death in 1978. He was an avid birder, and is survived by two sons, four grandchildren, and four great grandchildren. Many Michigan undergraduates were introduced to philosophy in the popular, historically-based course taught by Frankena and his close friend Paul Henle. 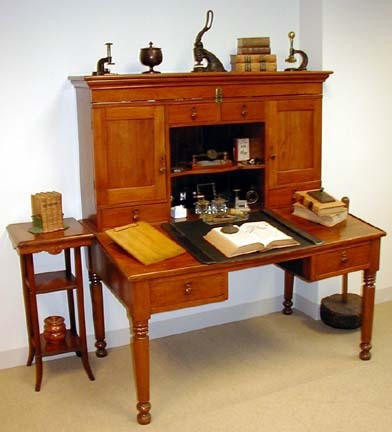 For nearly his entire career, Frankena did most of his philosophical reading and writing at home at a desk made circa 1870. When he wrote a philosophical paper, he prepared a detailed outline, including very abbreviated versions of all points and cites, before writing the paper longhand using a mechanical pencil. He never used a typewriter or computer. Frankena greatly valued his many conversations with other moral philosophers throughout the U.S. and western Europe. William K. Frankena's philosophical papers are in the collection of the Bentley Historical Library at the University of Michigan. His philosophy books are in the collection of the Tanner Philosophy Library in Angell Hall at the University of Michigan. While he was chair of the Michigan Philosophy Department, Frankena devoted a considerable portion of his time to service to the university and the philosophy profession, and became known for his role in defending academic freedom during the McCarthy era. After that period, he had more time to publish books and articles. During his career Frankena was chair of the Board of Officers of the American Philosophical Association (APA), chair of the Council for Philosophical Studies, president of the APA's Western Division, a member of the American Academy of Arts and Sciences and of the National Academy of Education, and a recipient of a Guggenheim Fellowship, a Fellowship from the Center for Advanced Study in the Behavioral Sciences, a National Endowment for the Humanities Senior Fellowship, and a Rockefeller Fellowship. Frankena was also active on Phi Beta Kappa Society committees. In 1974, he delivered the APA's prestigious Paul Carus Lectures on "Three Questions about Morality." Calvin College named him a Distinguished Alumnus in 1984. Frankena received the University of Michigan's Distinguished Faculty Achievement Award, was Roy Wood Sellars Distinguished Collegiate Professor of Philosophy, and was the first College of Literature, Science, and the Arts Distinguished Senior Faculty Lecturer. A memorial essay by a member of the Michigan Philosophy Department states that "William Frankena contributed as widely to moral philosophy and its neighboring areas as anyone in that remarkable group that dominated English-speaking ethics from the end of World War II well into the 1980s. From metaethics, the history of ethics, and normative ethical theory, to moral education, moral psychology, and applied ethics, to religious ethics and the philosophy of education, the sweep and quality of his ethical philosophizing was simply extraordinary." When Frankena retired and was awarded emeritus status in 1978, the University Regents stated that "he is renowned for his learning in the history of ethics, a subject about which he is generally believed in the profession to know more than anyone else in the world." The July 1981 issue of The Monist is devoted to "The Philosophy of William Frankena." The University has created a chair for the "Carl G. Hempel & William K. Frankena Distinguished University Professor," and annually awards the William K Frankena Prize for excellence in philosophy to an undergraduate student. Three Historical Philosophies of Education: Aristotle, Kant, Dewey, 1965. Introductory Readings in Ethics, W.K. Frankena and J.T. Granrose, eds., 1974. Perspectives on Morality: Essays by William K. Frankena, K.E. Goodpaster, ed., 1976. Chapter 17, written by Frankena for this volume, is a chronological review of his thinking and writings on moral philosophy up to the mid-1970s. The volume contains a bibliography of his work through 1975. Three Questions about Morality, 1974 Carus Lectures, 1980. Thinking about Morality, 1980, is an expansion of the University of Michigan Distinguished Senior Faculty Lecture Series delivered by Frankena. 1 2 3 S. Darwall, "Learning from Frankena: A Philosophical Remembrance," Ethics, 1997, pp. 685-705. ↑ The Michigan Daily, Feb. 26, 1998, regarding the firing of University of Michigan professors for refusing to testify before a subcommittee of the House Committee on Un-American Activities based on their rights under the U.S. Constitution. The article states that University President Harlan H. "Hatcher brought three University professors in front of the House Subcommittee on un-American Activities. After the hearings, Hatcher issued a statement that called for the immediate suspension of the three instructors 'without loss of pay from all duties and connections to the University.' Two of the professors later were fired. Several members of the University community felt Hatcher's handling of the situation was weak." See also Faculty Governance Update: Annual Lecture on Academic and Intellectual Freedom, Regents, University of Michigan, July 2007. ↑ "The Philosophy of William K. Frankena," The Monist, July 1981. The Philosophy of Value, 1957, by DeWitt H. Parker, completed with considerable effort by Frankena after Parker's death in 1949, with a preface by Frankena. A. Goldman and J. Kim, eds., Values and Morals: Essays in Honor of William Frankena, Charles Stevenson, and Richard Brandt, 1978, includes a bibliography of work by Frankena through 1977. Michigan Philosophy News, Department of Philosophy, University of Michigan, Fall 1995, is largely devoted to William K. Frankena. William K. Frankena Papers, Bentley Historical Library, Ann Arbor, Michigan. J.J. Kole, Frankena: "The Moral Point of View Theory", Moral Autonomy and Christian Faith: A Discussion with William K. Frankena, 2002, pp. 21–40, from Kole's personal site, includes biographical sketch. J.J. Kole, "Bibliographies" (for William K. Frankena), Moral Autonomy and Christian Faith: A Discussion with William K. Frankena, 2002, from Kole's personal site. S. Darwall and L.E. Loeb, "William K Frankena (1908-1994)," Department of Philosophy, University of Michigan, Memorial minutes from the Proceedings of the American Philosophical Association, May 1995 (Volume 86, no. 5), pp. 95–96. Also available at JSTOR (subscription required).